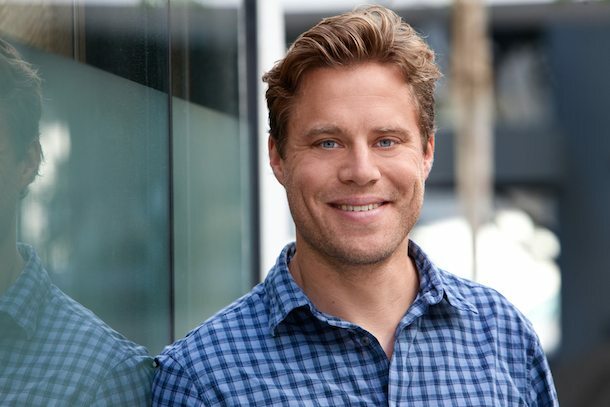 Jakob has spent four years in the Valley building the successful fitness and health apps Endomondo and MyFitnessPal, in an ever-focused effort on helping people live better lives. He moved back to Europe to found Balderton portfolio company Simple Feast — by far his most ambitious venture yet with the biggest opportunity to impact the world in a positive direction. Avoiding meat and dairy is the single most impactful way to reduce one’s impact on Earth and Jakob has his eyes firmly locked on helping people to do just that: cut down on meat and dairy. Absolutely. Getting up close with the Valley mentality has helped me more than anything. I cannot precisely quantify it, but it has given me a much fuller and more rounded skillset. However, having built startups both in the Valley and here, I now know that you can move anywhere in the world and build a business. It's given me a truly global perspective on what is possible. Since I first lived in Europe, the technology scene has improved dramatically. I honestly thought it might be a step back to return to Europe, but have found the reverse is true. What's been the hardest thing about returning to Europe? I do miss the network and lifestyle of California. It's just different in Copenhagen. Not better or worse. Just different. However, I admit to missing the network, the vibe, my friends, the weather and the surf! One of the hardest things in moving back has actually been watching the immigration story unfold here, and watching Europe start to close its borders. It's the very opposite of what defines me as an individual. But then President Trump got elected, and I realised it was worse in the States. What are your observations about the talent pool in Europe? Here, there is less access to senior people with a lot of experience, but that is now changing rapidly. The talent pool in Europe is excellent. I find people here show heartfelt passion to make an impact, and have tremendous loyalty. Compared to the Valley, it's less about the politics of the job or the tactics of how the job is done. So there are learnings that can go both ways — the Valley can learn from Europe as much as Europe can learn from the Valley. I am very optimistic about Europe. To anyone thinking about making this move I say this: don't think about it too much. Just do it! You can always move back!